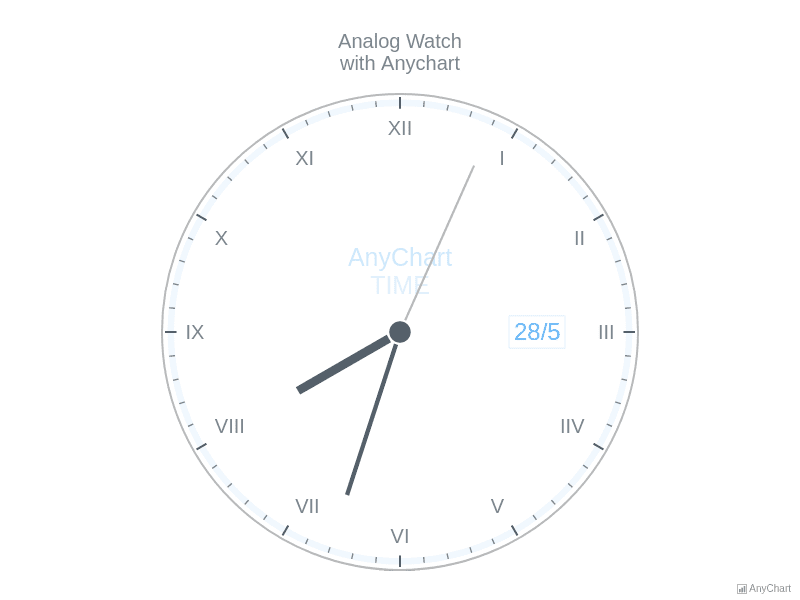 Analog WatchHere is the gauge that simulates analog watch. It has three needles (for hour, minute and second hands) and two axes. 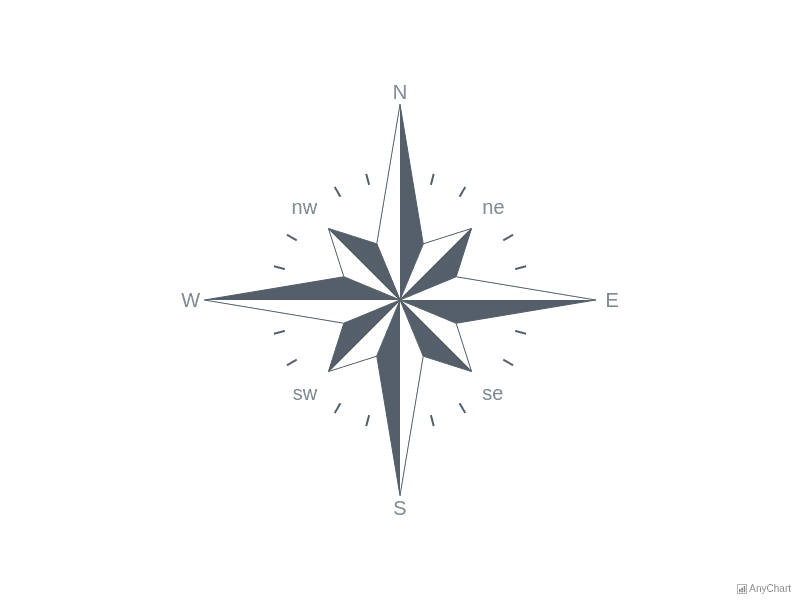 Chart's knob connects all needles. One of the chart's labels is responsible for displaying the current date. Compass GaugeThis Circular Gauge is very unusual: it is a simulation of compass. Each needle of the chart was colored half into dark grey and half in white. Two axes represent two rosewinds. 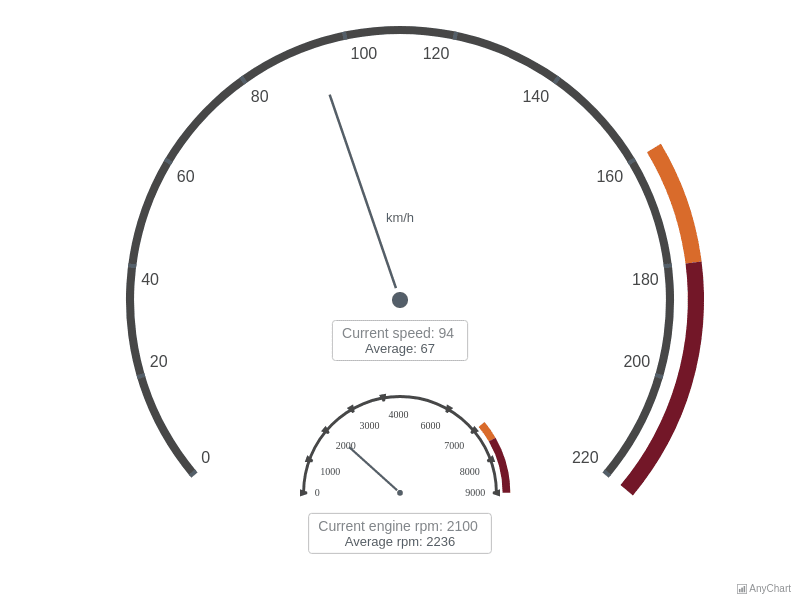 Complex GaugeThis chart consist of two gauges: the first one shows the current speed and the average in the aperture and the second one displays some additional information. The second gauge shows the current engine and the average value for it in rpm in the aperture. Gauge with Color RangesThis half-circular gauge has tree range labels on chart's plot. All labels are adjusted to show the sales volume in dollars. Chart has a knob and one needle. The chart represent the sale for a company and ranges help to assess the situation. 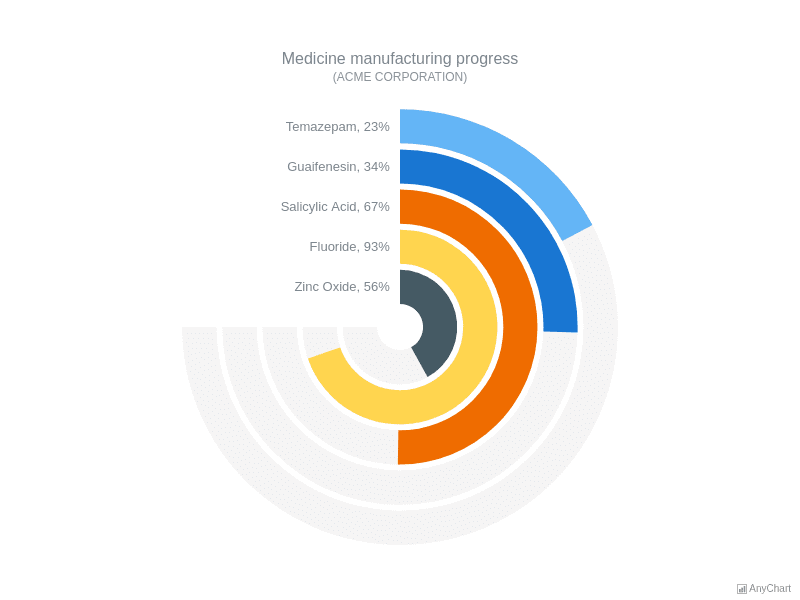 Solid GaugeThis gauge chart consist of 5 radial bars each representing a progress in medicine manufacturing. Each label was adjusted to show progress in percentage along with the item's name. The gauge stroke is hidden. 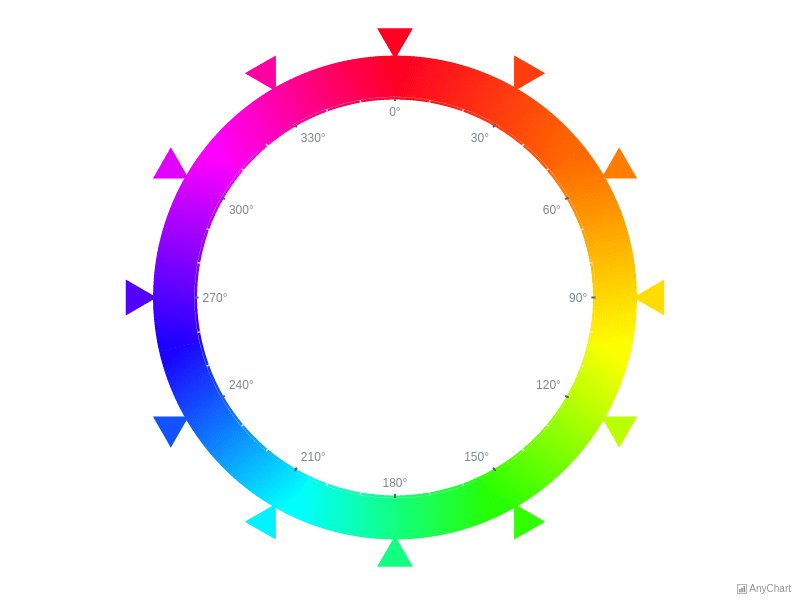 SpectrumA gauge with an axis colored with a spectrum of colors with axis labels displayed and markers pointing at each 30°. 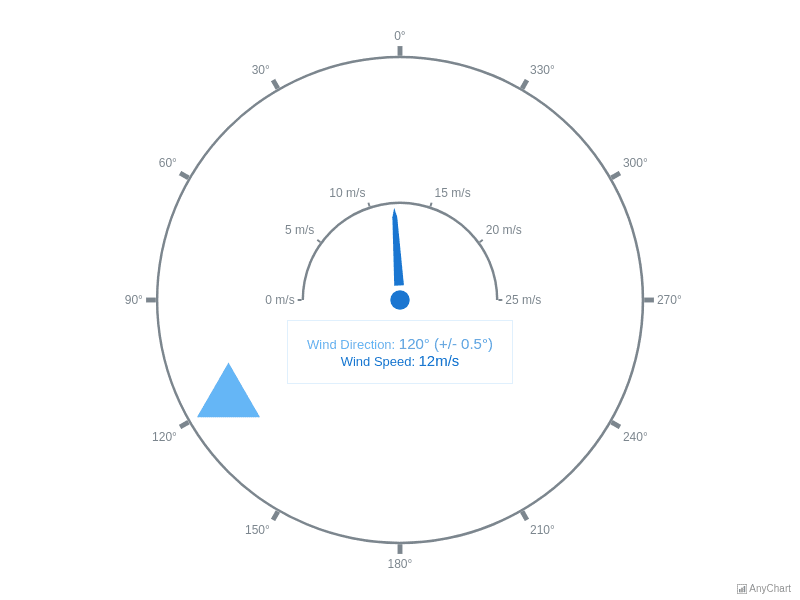 Wind DirectionThe chart contains two gauges: the big one shows the wind's direction and the small one visualize wind's speed. 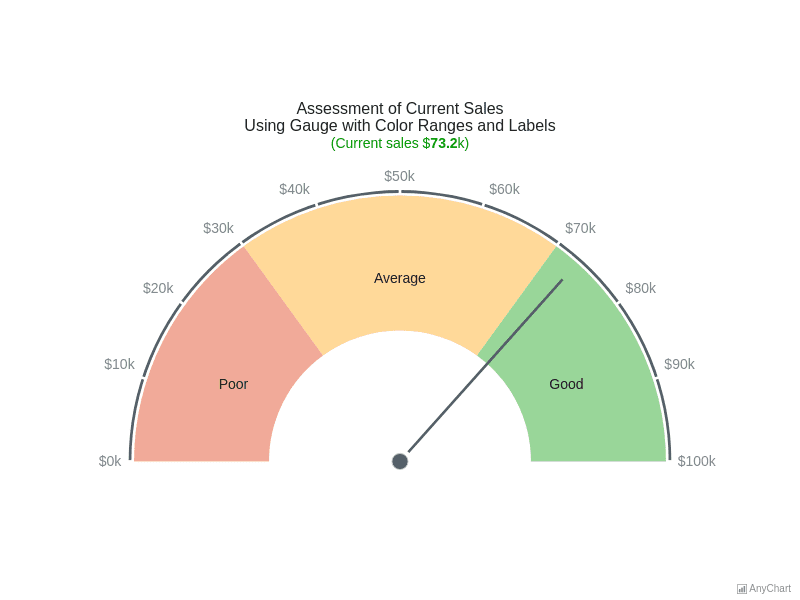 The label inside the chart displays current value of both gauges.